The world of the electrician has been ever so slowly evolving into something that relies heavily on the use of computers. So why not turn to computers to deliver the necessary training as well? If you are new to the idea of online learning or maybe it's something you've tried before and didn't like it, then this article is for you. There is a movement in the world of online learning from fancy graphics and video to more thoughtful and engaging course design. In this article, I will highlight some of the reasons why online learning could be right for you. If this is what you thought of when I mentioned online learning then I feel your pain. Historically, online learning has taken content from powerpoint slides, converted it to an online slideshow, maybe added some talking head video's or voice over action videos and called it a day. Learners quickly realized that all they had to do was click through the course as quickly as possible and then answer a couple very easy questions that probably are so obvious that your dog could get them right. So what do we do about it? Well for starters you need to make it interactive. First of all, what is interactive? Everybody says there training is interactive but what does that even mean? I am clicking keys on my keyboard right now... is that interactive? When you click "next slide" on a training program are you interacting with it? Or, does interactive mean that you need to make decisions in the training that will actually change the outcome of the training? I like the sounds of the latter. Scenarios are inherently interactive. The three C's of scenarios are Challenge, Choice, and Consequence... this is what I call interactive. Imaging a training course where you are playing the part of an electrician, you are given real-world challenges, need to make educated decisions, and are faced with real-world consequences. Now things suddenly got quite interesting. It's like the old choose your own adventure books... "The Cave of Time" was always my favorite. A learner shouldn't have to suffer through anything they don't need to. Imaging your getting dressed up for a party. You decide you are going to wear a tie. If you are like me, you then get your phone and google "how to tie a tie"... you watch the video a couple of times and then decide to go to the party without. But if you already knew how to tie a tie you would never google it and would be bored to death if you were forced to watch the video. 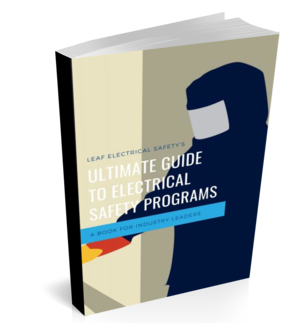 When it comes to electrical safety training it should be the same thing. The scenarios should challenge the learner to make decisions and provide an option for further information if required. But if the learner already knows something (or thinks they already know it...) then let them choose the answer. By the way, this is also the best way to learn... because if they think they know something and then proceed to get it wrong they are going to have to deal with the consequences and people learn best from their mistakes... I know I do. Instructional videos are about as boring as watching paint dry... especially videos about arc flash and shock hazard. So stop using them. On top of that, videos are not as engaging as you might think. In fact, they are probably less engaging than making someone read plain text on a page. So why don't you give it a try? If you don't have the time to build your own then I've done my best to build an electrical safety training that's totally scenario based. You can link to it here. Enjoy!